Quick Guide To nano Text Editor On The Raspberry Pi @RaspberryPi #piday #raspberrypi « Adafruit Industries – Makers, hackers, artists, designers and engineers! 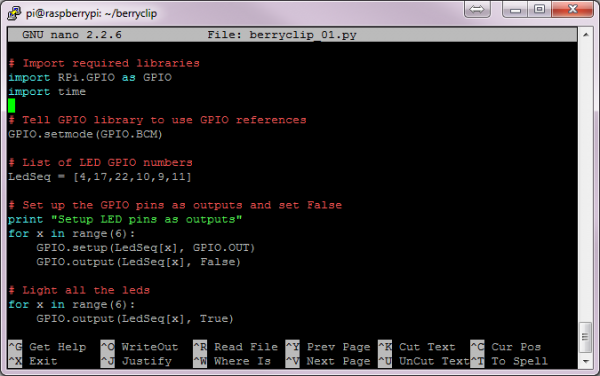 If I need to edit text files directly on my Raspberry Pi my text editor of choice is nano. There are other text editors available but I prefer nano’s relatively straightforward interface. As a command line based utility it may feel strange for users who are more familiar with a graphical interface but it is easy to learn the basics. Syntax colouring is available which makes reading and reviewing scripts easy.